March is shaping up to be a wonderful month of gaming for all platforms. 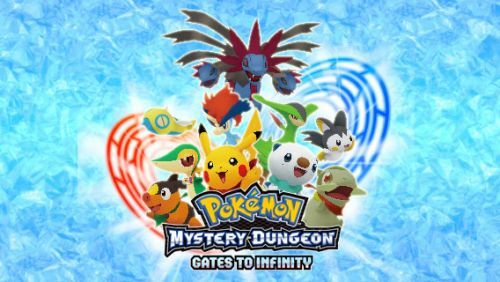 Besides the obvious blockbusters of the month, it is important to remember that Pokemon Mystery Dungeon: Gates to Infinity will be releasing towards the end of the month. In case you haven't played a Mystery Dungeon game before, or if you simply want to get a feel for the game, a demo will be hitting the eShop next week with the usual update on March 7th. It might be a good idea to test the waters and preview the 3D effects when the demo arrives. Pokemon Mystery Dungeon: Gates to Infinity will come out for the 3DS on March 24th. It will also feature up to four player cooperative play in a special mode called "companion mode." We covered that mode and how your items and experience will carry over to the single player mode in this article. Look for more game updates as they become available. Page created in 1.5335 seconds.